Create Your Resume Website. Export Resume To PDF. Supercharge Your Portfolio. Standout From The Crowd. Share Certifications. 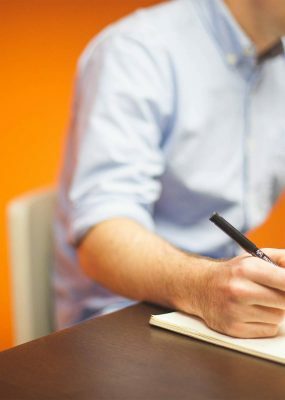 Write Blog Posts. No Web Design Skills Required. We'll Guide Your Every Step Of The Way. web address & extra features. using our easy to use templates. Your site can be ready in minutes! Export your resume to PDF format. Or upload your existing resume to your website. Either way, you're ready to go live! Easily create your own personal website to market your resume, portfolio, blog, certifications, and much more! Once you've added your resume information (or imported from Linkedin), export to PDF for quick printing by selecting from dozens of template and color combinations. 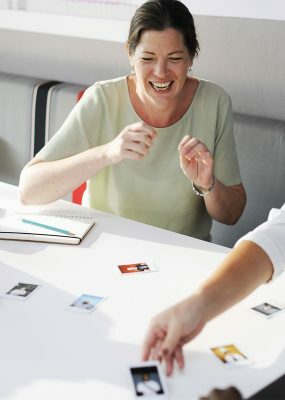 Two Way Resume caters to professionals, students, entrepreneurs, freelancers, resume writers, and everybody in between. Our themes feature the most cutting edge technology on the planet. Designed professionally and integrated seamlessly into our platform. 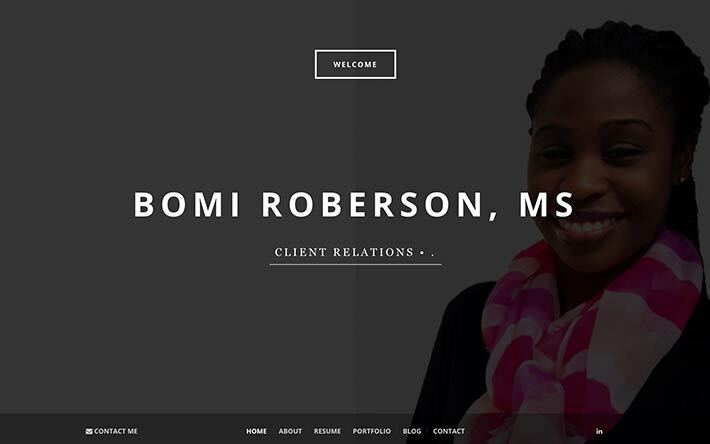 Customize your resume & portfolio website without the need for any web design skills. When you're done, it will look like a site you paid thousands for. One of the best features of Two Way Resume. Already have a LinkedIn profile? Awesome! Let us import your work experiences, profile image, current title, and more straight from your profile. You will have your Two Way Resume website up and running in a matter of minutes. All of our paid plans include your own custom domain name. Soon enough you will be placing yourname.com on all the resumes & promotional material you hand out. This allows you to develop a great online presence when people search for your name on the internet. 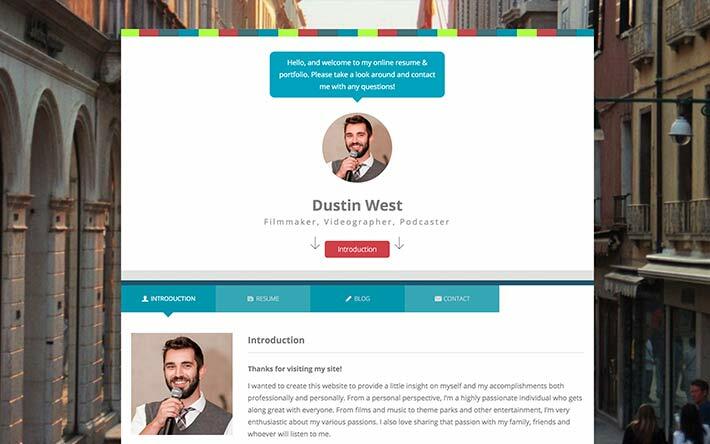 Quickly and seamlessly export your website content to a printable PDF resume. Choose from several PDF templates and select your color scheme. 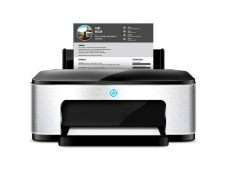 Instantly download the PDF to your computer. Our premium package includes additional premium templates not included in the free Two Way Resume version. Two Way Resume is all about bettering your online presence. We all know first impressions are everything. Did you know that 90% of first impressions are now done on the internet? 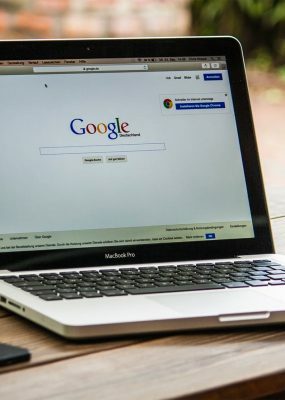 We get your personal website ranked high in search engines to help you leave a great first impression. We keep track of your website statistics and display them on the frontpage of your dashboard. See how many visitors have come to your site today, yesterday, over the last seven days, or even see your total visitor count. Keep track of how many people have downloaded your resume and much, more more! Our platform was specifically designed for resume & portfolio websites. Therefore, we have excelled at making our control panel as simple and user friendly as possible (while including loads of features). Make changes to your site 24/7. No website knowledge required. Words are great but many times they cannot explain the true excellence of your work. Therefore, we added a portfolio. 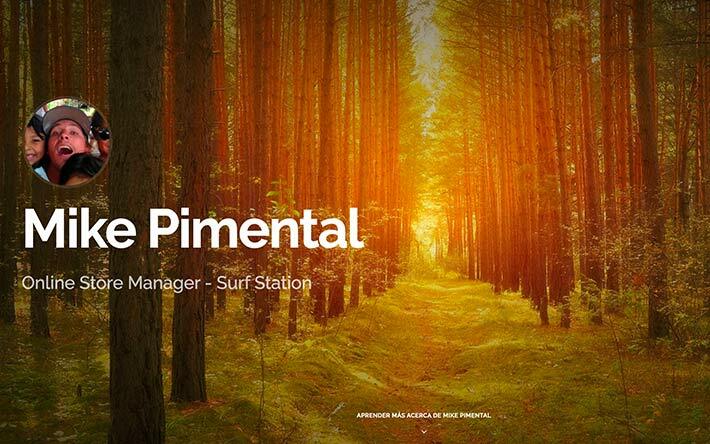 Add unlimited portfolio posts, add a gallery of photos, embed YouTube & Vimeo videos, add documents for people to download. Share your greatest accomplishments. Allow visitors to see your recent accomplishments and experiences. 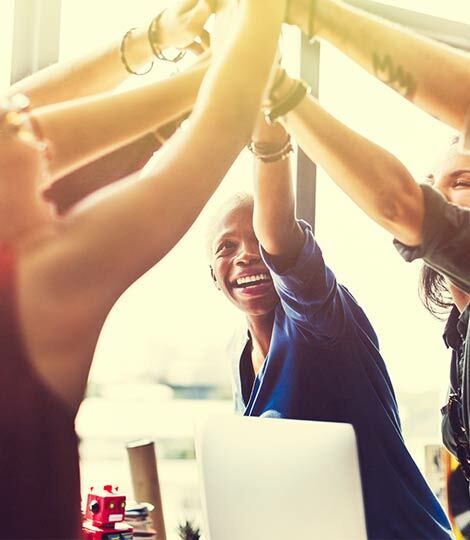 Prospective employers like to get a feeling for how you will mesh with their work culture. Reading blog posts about your outside of work passions is a great way to start. Don't want to make your personal website available to the public? No problem! Two Way Resume gives you three different privacy levels including the ability to password protect your website. Sometimes your education history and work experiences don't do you justice. What about additional certifications? We have a section for that! Mobile & tablet visitors will most likely account for over 30% of your traffic. Therefore we designed our themes with them in mind. 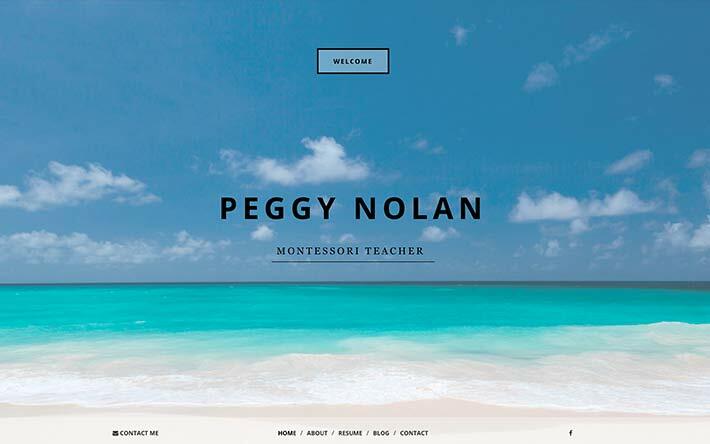 All of our themes will expertly recognize what kind of device (desktop, tablet, smartphone) your visitor is using and show a site that fits their screen. Want to learn more? Watch a video. The majority of first impressions are now made online. 75%+ of hiring managers 'Googled' an applicant in 2016. 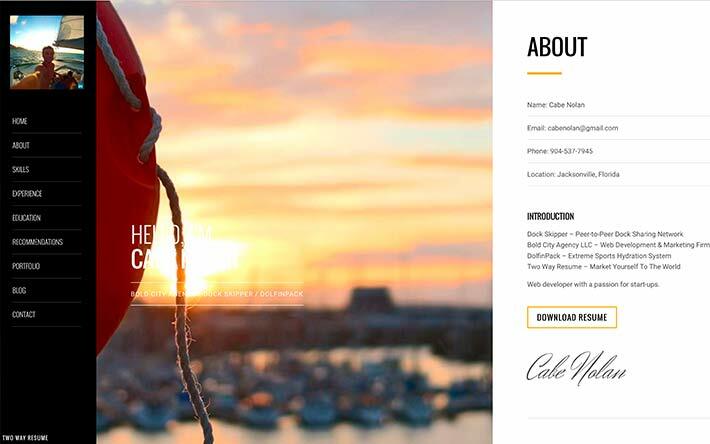 The most affordable way to create a personal website. We've been creating resume/CV websites for over seven years! 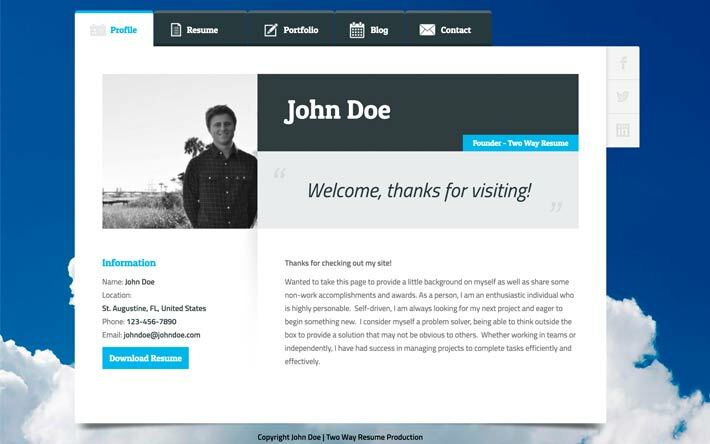 The only website builder on the internet specifically designed for personal resume and portfolio websites. 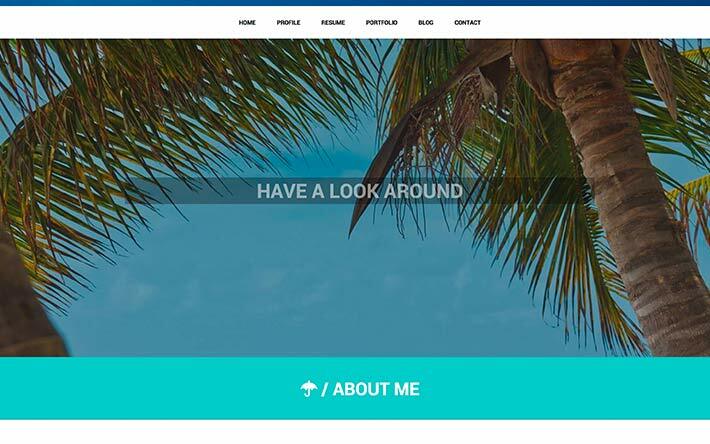 Have your personal website up and running in minutes. Our paid packages include your own personal domain name (yourname.com). Need a PDF version? Instantly export your resume and download a PDF using our pre-made templates with numerous color combinations. 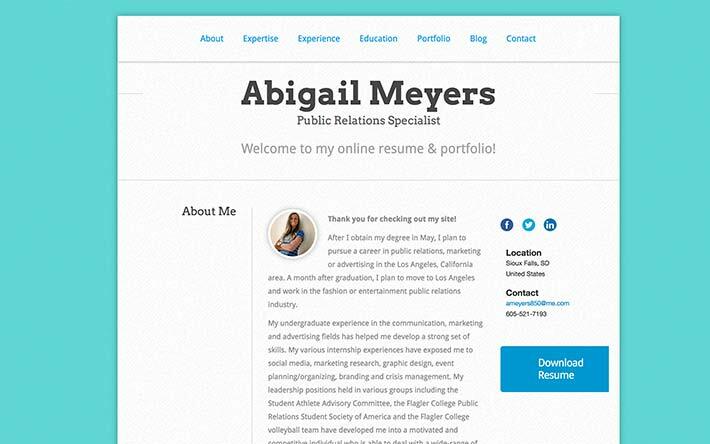 Creating a personal website & PDF resume to help your job search & online presence shouldn't be hard and shouldn't cost thousands and we're proud to say it doesn't! Two Way Resume is a re-invented resume builder. 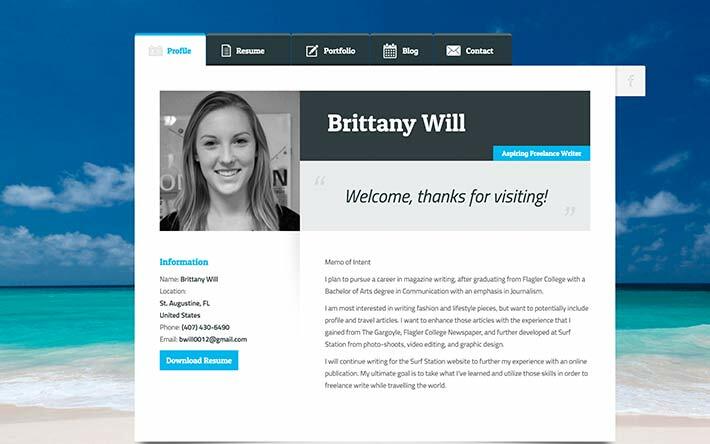 It allows it's users to create both a resume website and a stylish PDF resume without any web design or graphic design experience. 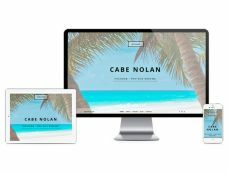 Using professionally developed resume website themes and PDF templates, we allow you to establish both your offline and online brand. Two Way Resume has been in the industry since 2010 helping individuals just like you create your personal, individualized website featuring your resume, portfolio, certifications, blog & more to market yourself to the world. 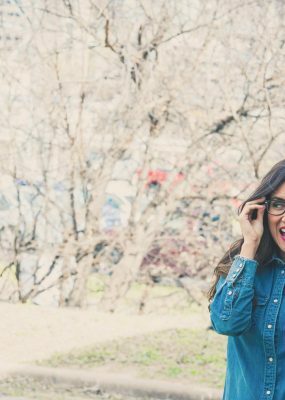 A recent study showed that 90% of first impressions are now made online. People, recruiters, potential colleagues, are not waiting to meet you in person, they are performing online searches to dig up information on you prior to even scheduling a meeting. Are you on the job hunt? Did you know in 2013 74% of recruiters admitted to doing an online search on a candidate prior to even looking at their resume or portfolio? 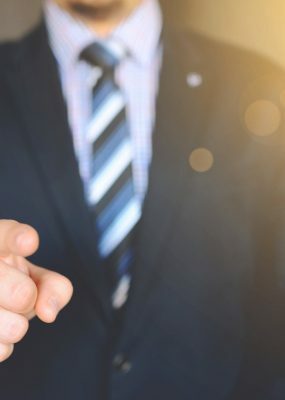 Furthermore, over 35% of recruiters admitted to completely eliminating a candidate prior to even an interview just based on their online presence, or lack of one. An online presence (and personal website) is critical in this day and age and it's only going to become more expected. Ready to start building your online brand? 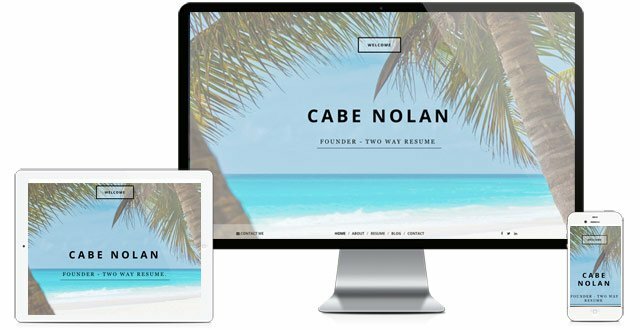 Two Way Resume can get you setup with a personal website in minutes! 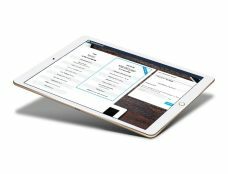 Two Way Resume is the easiest platform on the planet for creating a personal website & PDF resume. No need for annoying drag and drop editors, nothing to design, code, or organize. Just simple fields you can either paste into or import directly from LinkedIn. Once the information is entered, our system does the rest creating your beautiful website & PDF resume automatically. Just because it's easy, doesn't mean it's not packed with features! Add portfolio items complete with galleries, videos, & documents. Add blog posts to share your recent accomplishments & happenings. 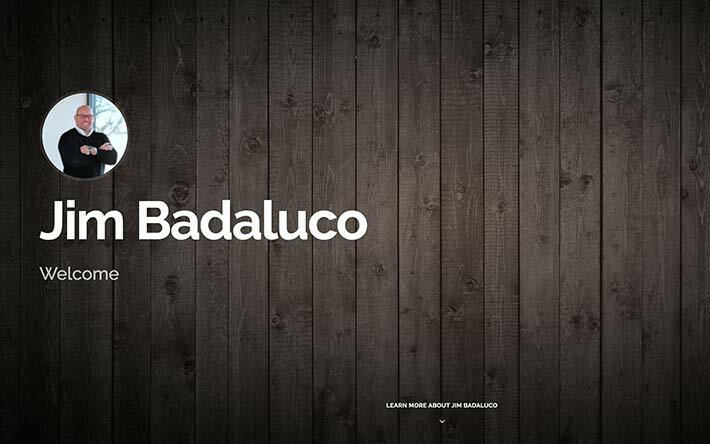 Change your theme, set your color scheme, upload your own background image. All of this and more is possible through our simple to use Two Way Resume control panel.